Today, we have author and editor Alison Williams sharing the difficult circumstances that led to a flourishing career and fulfilling life. I have had lots of jobs, tried my hand at lots of things, but the one constant in my life has always been words, whether reading or writing. It has just taken me a while to get the point in my life where I am finally building a career on my own terms around those things. I always wanted to be a writer but circumstances meant that I went straight to work when I left school and had a variety of office admin jobs. At nineteen, I was in a rather difficult relationship; not a nice thing to go through but it focused my mind and I went to night classes to do A’levels in English and Politics. These got me a place on a journalism course and I left that horrible relationship behind, left home and met my lovely husband-to-be. Life got in the way of my career again and I married and had my two children while supporting my husband as he built his own career. He became a successful journalist and then moved into public relations. Meanwhile, I took a job at my children’s school and began a degree in literature and language with the Open University. I also began to build a small freelance writing career and was so thrilled to see my name in print. As I finished my degree, one of the worst times in our lives began. My mum was diagnosed with bowel cancer. I felt at a real crossroads in my life and wasn’t sure where to go next. My colleagues were all encouraging me to become a teacher and my mum was keen for this too, so I applied for a place on a Post Graduate Certificate in Education course. Christmas 2008 was a horrible time. My mum was getting worse and my dad had a heart attack. I felt like I spent most of my life in hospitals. In January 2009, a week after my mum died, I had an interview for the PGCE. A week after that I was offered a place. A week later my husband lost his job. That summer passed in a blur. I left the school and the friends that I had made and worked with for the past six years and stepped into the unknown at a time when I really needed support. My husband was struggling to build his own business; my kids were coming to terms with the loss of their lovely Nan and dealing with the pressures of school. I felt like I was walking around with a massive weight on my shoulders. Then in September I started my course. It went well, I made some wonderful friends, and my first teaching practice was a real success, but as Christmas drew near I became ill and went down with a nasty case of bronchitis. I dragged myself back to college in January and started my final placement just after Easter. I look back at those weeks now and still shudder. The teacher I was assigned to hated me on sight. Nothing I did was right. She withheld help and advice, bullied rather than supported me through difficult times, on one occasion deliberately finding things for me to do to make me late for an interview for a teaching position I really wanted. I was so low that I cried every morning when I woke up and every night when I got home. My husband, whose business was taking off, couldn’t have been more supportive but he couldn’t really do anything. I remember calling him from the staff toilets one day, sobbing because I just couldn’t go on. It all came to a head when I was due for a lesson observation. My teacher offered no help, no guidance. She said I had to do it all myself to prove I was capable. The night before the observation, I went home and my sister, an assistant head in a local infant school, came round to help me plan. She took one look at me, bundled up my files and told me I wasn’t going back. Ask my family or my friends if I’m easily put down, easily picked on, an easy target and they will say, unequivocally, no! I’m known for standing up for myself, for speaking out, for being a bit gobby even! But I was so beat down, so vulnerable, so low after a couple of terrible years that I just didn’t have the strength to fight back. So I walked away. And it was the best thing I did. I took a Masters in Creative Writing, wrote and published my novel ‘The Black Hours’, went back to freelance writing and researching, began working for my husband’s now thriving communications consultancy and began my editing business. I’m working with writers, reading loads of wonderful manuscripts, writing articles and editing for my husband and, best of all, writing novels. And I’m sorry, I have to admit that I’m not one for Karma or forgiving and forgetting ; I’m a sceptic, an atheist and I’m happy to live my life for my life’s sake. Forgiving won’t make me feel better, because I feel fine. I’m happy, forging a career doing what I love. And I don’t cry when I wake up any more. I smile. 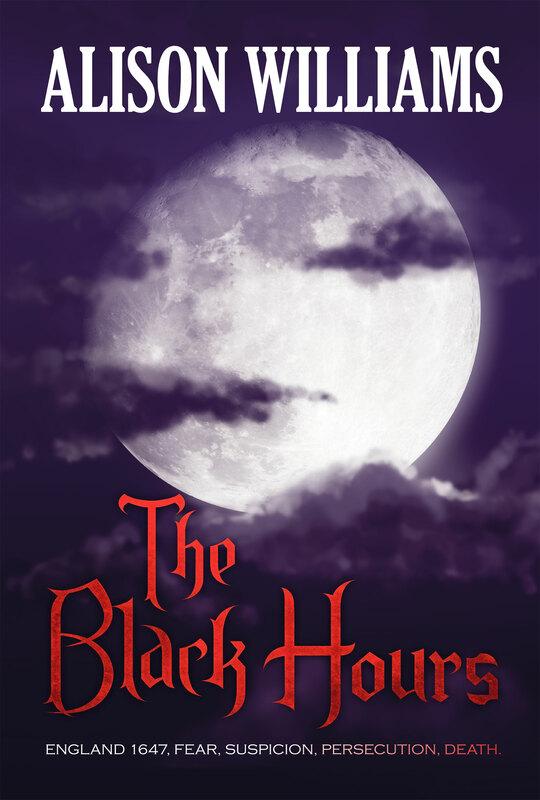 A tale of persecution, superstition, hate and love, ‘The Black Hours’ mixes fact with fiction in a gripping fast-paced drama that follows the story of Alice as she is thrown into a world of fear and confusion, and of Matthew, a man driven by his beliefs to commit dreadful acts in the name of religion. Alison, I am inspired and impressed by your courage and perseverance in the face of so many personal and professional challenges. Thank you for sharing your story and best of luck with all your creative endeavors. This entry was posted in Guest Blogging, Inspiration, Second Acts and tagged Alison Williams, Joanne Guidoccio, The Black Hours. Bookmark the permalink. Women that persevere through years of challenging times ROCK! You go girl! Thanks so much for having me on your blog Joanne; so many of the posts here are inspiring and I’m grateful to be included. OMG I can’t believe what a horrible teacher you had, what on earth was she like to the pupils if she couldn’t help a fellow teacher? But then she does sound like a teacher I once knew. I think you’ve definitely found your niche now. You’re probably stronger than you think. Hope things turn out well for you.